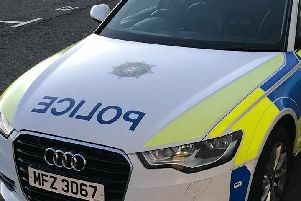 Police are seeking public help as they continue to probe a rash of burglaries which took place in Newtownabbey earlier this month. The burglaries took place at a number of houses in the Ballyrobert, Old Manse Road and Carntall Road areas of Newtownabbey on Sunday, October 8. Police investigations have been coninuing since and it is hoped that someone may have spotted suspicious activity which could bring the thieves to justice. Detective Inspector Gray said; “It was reported that sometime between 3.30pm and 7.30pm, entry was gained to the houses and electrical items, jewellery and cash stolen. “A white coloured Vauxhall Astra is believed to have been involved in the burglaries and was recovered in west Belfast the following day.